The Platinum Coast is a stretch of powdery white sandy-beach on the West Coast between Holetown and Speightstown St. Peter. The Platinum Coast is a stretch of powdery white sandy-beach in Barbados. Located North of Holetown. Its area title has been broadened in more recent times to include much of the coastline of the parish of St. James to Speightstown St Peter. The original name for this area was the "Gold Coast"
Located at the southern end of Speightstown, is a beachfront selection of superior apartments. Located along the north-west coast of Barbados, Speightstown is one of the major towns on the island and has a long and interesting history. 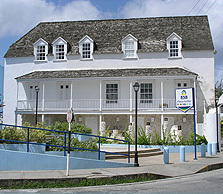 Much of the character of Speightstown can be found in its architecture - historic buildings dating back to the early settlement of Barbados alongside modern buildings reflecting a developing nation - and in its people - the sidewalk vendors offering fresh fruits and vegetables, the fishermen unloading their catch along the jetty, local characters hanging out at the Esplanade and friendly sales staff in modern shops and restaurants. The west coast of Barbados is often referred to as the 'Platinum Coast' and is renowned for the clear warm waters that lap gently onto golden sands. This coast is ideal for your Caribbean vacation whether it's a family holiday or a romantic getaway. There are several magnificent beaches along this coast. The North, South and East coasts each offer their own experience, ranging from gentle surf on the South coast to crashing waves on the North coast. Arlington House Museum - 18th century house with three floors of exhibits and interactive features. St. Peter's Parish Church - dating back to 1837, this Anglican church was built in a Georgian style. A walk through the town is a great way to enjoy the local character and the historic buildings combined with modern architecture to create a vibrant town alive with history. The newly opened Speightstown Esplanade is the perfect place to stroll or sit and watch the gorgeous Caribbean sea and tropical sunsets. Stroll out on the jetty for a lovely view of Speightstown and the coastline. For the more adventurous why not take in one of the Hike Barbados Fun Walks. Several of the beaches along Speightstown's coast are turtle nesting beaches, so if you're visiting at the right time you might spot a turtle nesting or hatchlings making their way to the sea. Recent guests in our properties (July 2013) reported swimming alongside a turtle in the sea and witnessing the newly hatched baby turtles making their way to the sea from the beach just yards from the complex. 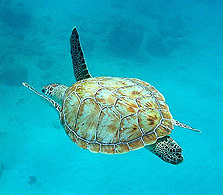 Hawksbill turtles typically nest between May and October, however, nesting has been documented throughout the year. Did you know that a group of sea turtle nests on a beach are called collectively - a rookery!